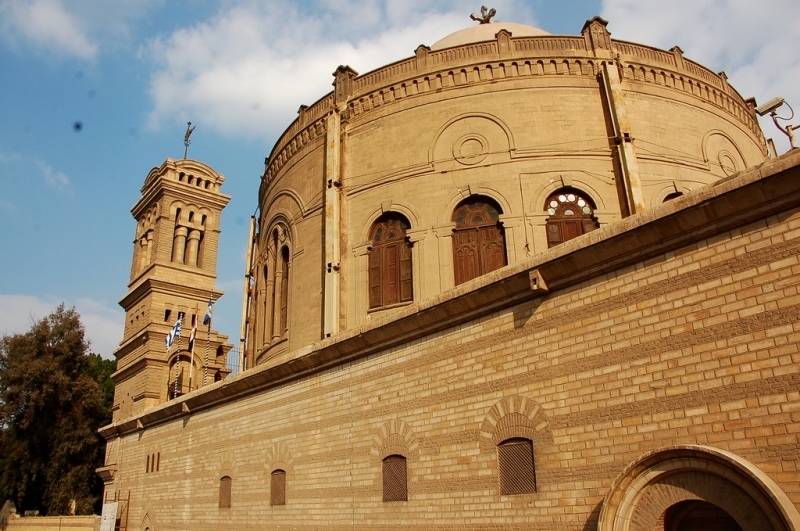 Located about 30 minutes from Downtown Cairo, the Church of Saint Barbara sits in the heart of Old Coptic Cairo in the Old Cairo district. It is located amongst several other Churches in a private Christian community which has been established and preserved since the 10th Century. The Church of Saint Barbara as well as the other churches of Babylon, was destroyed by the two great fires of Fustat in the 8th and 12th centuries, and subsequently restored several times. Al-Maqrizi described it as the most famous church of his time. It is a sister building of the Church of Saint Sergius, and designed in basilican style wit galleries. The exterior of the church is not imposing so that the church might not be distinguished from the neighbouring houses by fanatical mobs who frequently pillaged the churches in times of unrest and persecution. The church measure 26 meters long, 14.5 meters wide and 15 meters high. Two rows of five columns each separate the northern and southern aisles from the nave. The columns are joined by a finely carved wooden architrave. In the nave lies the ‘Mandatum Tank’ which was filled with water and used for the service of feet-washing on Maundy Thursday and on the Feast of Saints Peter and Paul, but today a portable basin is used. Only the main sanctuary features an apse; the other two flanking it are rectangular rooms. The Church of Saint Barbara endured extensive restoration at the beginning of this century. 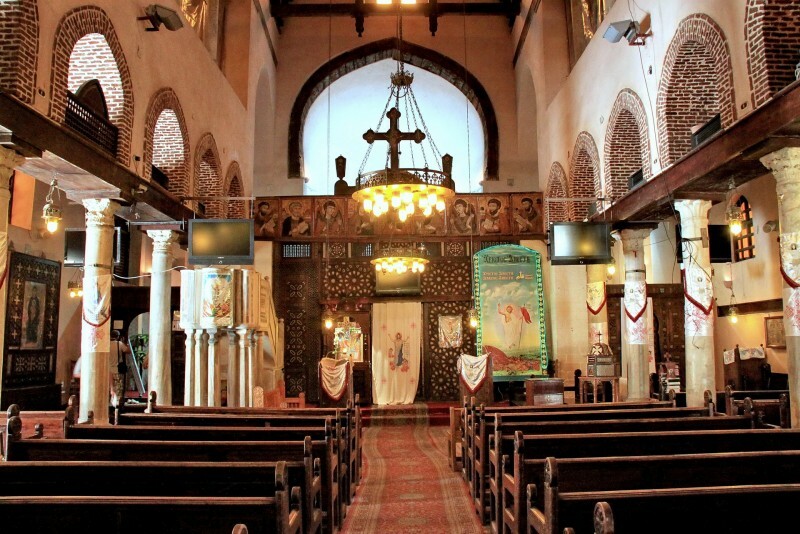 Many important monuments were found in the Church of Saint Barbara and are now exhibited in the Coptic Museum.The area to the north of the sanctuary in Saint Barbara’s Church is nearly square in shape and features three chapels; this area is dedicated to Saints Cyrus and John. The complex was built at the beginning of this century.